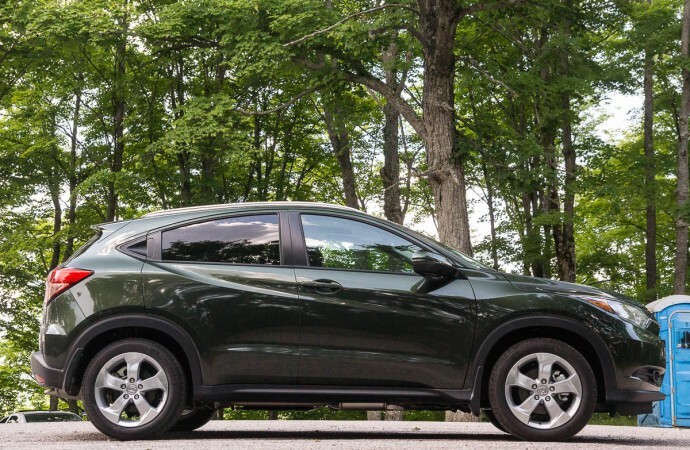 Honda took the “versatility” part of the equation to the next level. 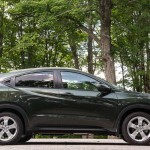 Honda has been in the crossover utility vehicle (CUV) market for some time now. 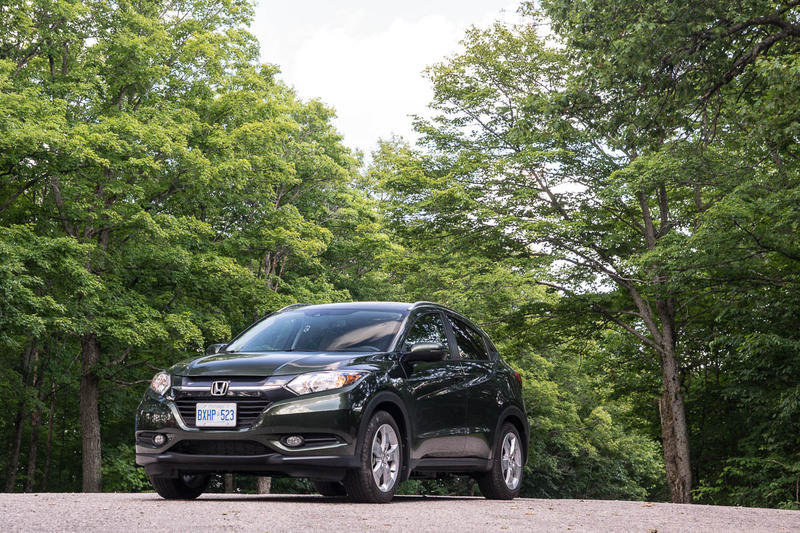 The CR-V has been well received by families alike, for its nearly-perfect blend of versatility, efficiency, and the usual Honda reliability. 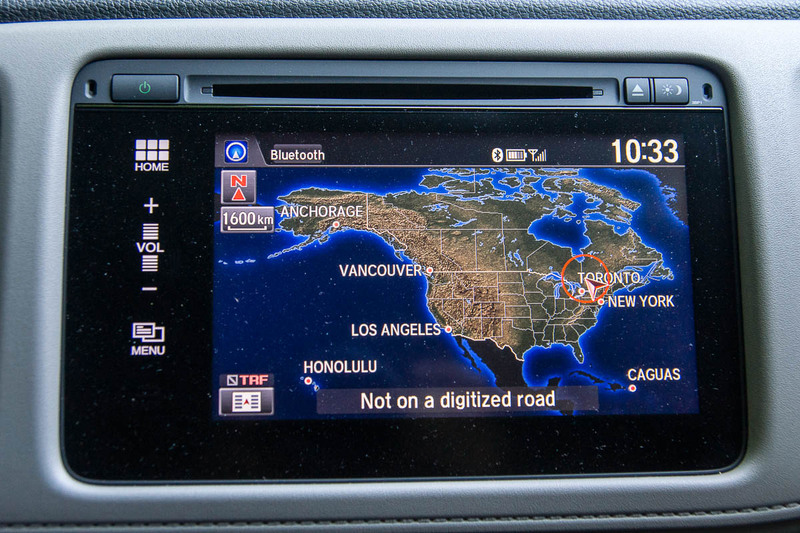 I reviewed a loaded 2014 CR-V – before its 2015 refresh – and found it to extremely confident, and competent in everything it was designed to do. It’s not the fastest, most stylish, nor is it the most technologically advanced, but it simply works, in a worry-free way. Enthusiasts may look elsewhere, but to the modern family of today, the CR-V simply just works. The CR-V, like pretty much every single model nameplate out there, isn’t immune to feature creep. Interestingly enough, the CR-V hasn’t really grown in size from its first-generation to the current fourth-generation car. 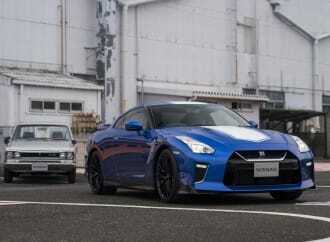 What has changed is the overall styling, and interior packaging. 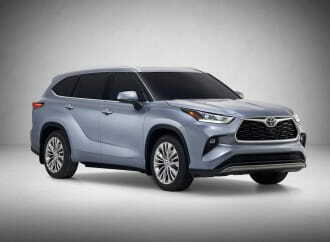 The competition has continually added premium features to their compact CUVs – some shamelessly pulling features down from upmarket luxury vehicles. Today’s new trend is downsizing. More people are realizing they don’t really need a full-size vehicle to bounce around between urban checkpoints. 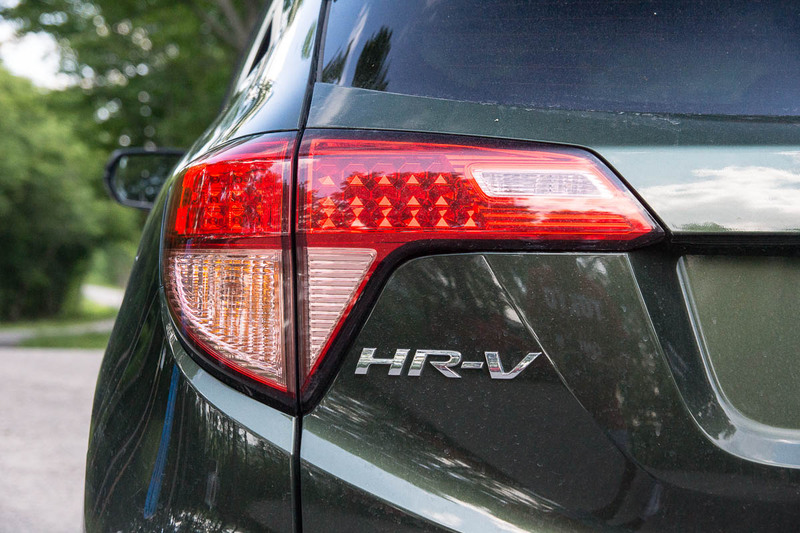 Always looking to explore new trends and get into new markets, the HR-V was born. Designed to slot in under the CR-V, its job is to provide customers with an entry-level option, with the best bits taken from Honda’s practical and versatile parts bin. Speaking of the parts bin – the HR-V is based on the smaller Honda Fit. 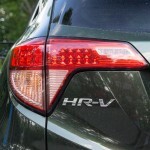 The HR-V nameplate isn’t actually a brand-new concoction. From 1999 to about 2006, the Japanese and European domestic markets received a boxy, and high-riding compact little trucklet, with available all-wheel drive. Google can tell you a little bit about the first-generation HR-V. I’m not so sure the styling would work here in North America, to be honest. 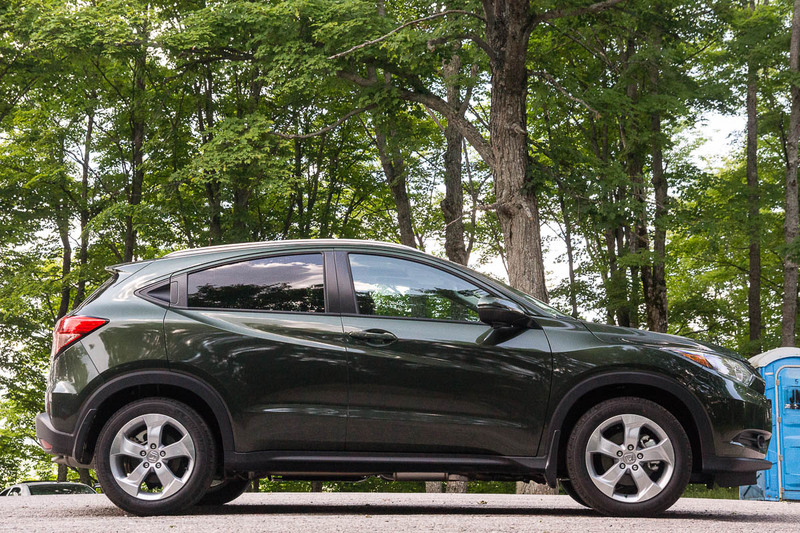 The second-generation HR-V is what we’re looking at today, is Honda’s entry into the rapidly-growing sub-compact CUV market. 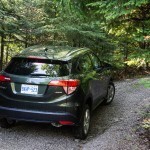 Canadians are famous for liking their quirky small vehicles, so I picked up a loaded HR-V EX-L with Navigation, to see what the buzz was all about. I was fortunate enough to test the hot-off-the-presses 2016 Mazda CX-3 a few weeks ago, and loved its usual Mazda dynamics and exterior footprint. It’s a great little urban vehicle if you don’t need to put very many things, or people, into the back of it. It’s Mazda’s unique take on the small truck, and it turns out to be very different from the Honda HR-V. In today’s style-obsessed society, Honda is quick to point out the HR-V’s combination of coupe and SUV-like styling. What this refers to in practice, is the jacked-up look (by way of increased ground clearance and the elevated driving position), combined with the fast coupe-like roofline that drops fairly dramatically just behind the second row. I feel this is more of a styling exercise, because the sloping roofline and rear hatch do eat into some of the cargo space. The rear door handles are integrated right into the door, making for a cleaner appearance, but little ones may need to stand on their tippy-toes in order to reach the door handles. 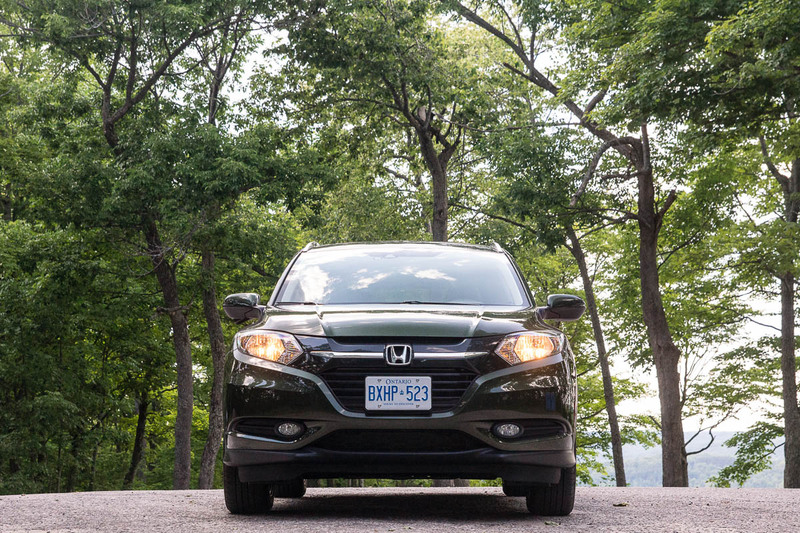 The front-end wears the Honda-corporate face of 2015, and its grille isn’t too unlike that of the current Civic. 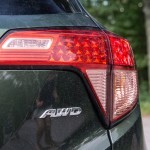 The taillights are notable in that they look like they’re lifted straight from the Acura parts bin. 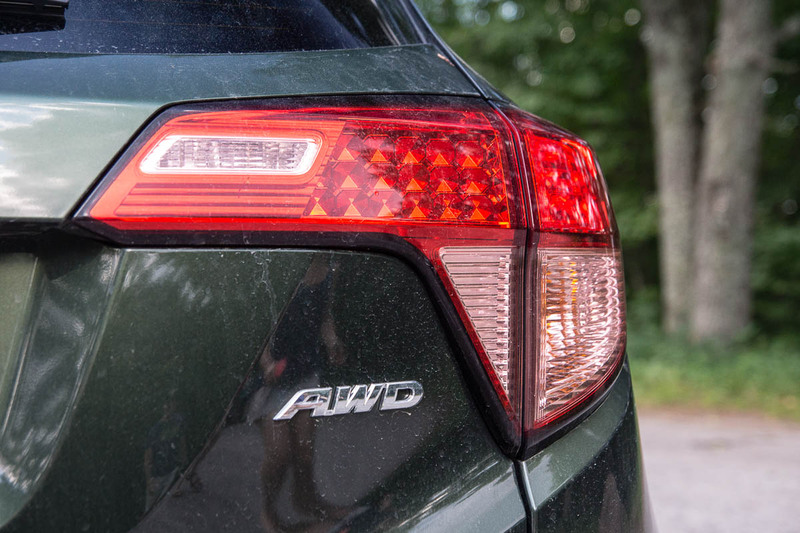 The rear-end on the 2016 Honda Pilot is styled similarly, as well. 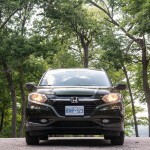 All in all, the HR-V seems to straddle the more “utilitarian” line, with a few styling quirks that Honda has baked in. I think I prefer the styling of the CX-3 a little more, overall size aside. 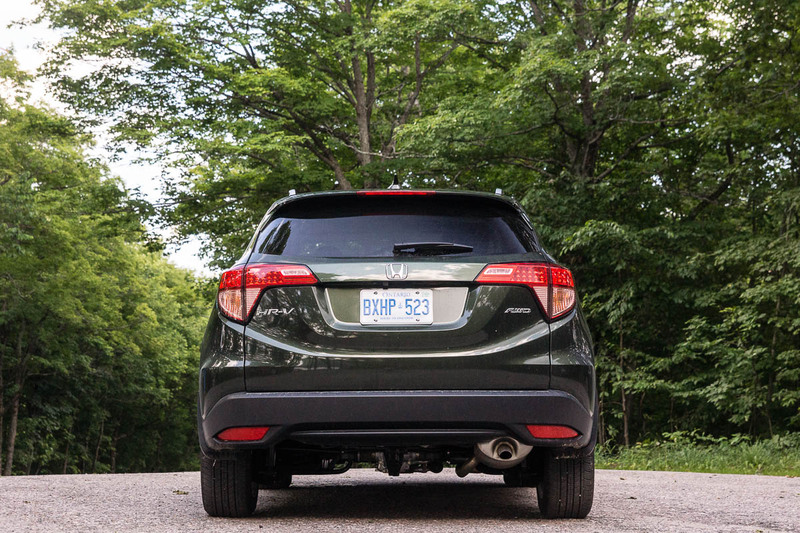 Inside, the HR-V also goes in a different direction than the CX-3. First impressions are surprising – the interior furnishings definitely feel like they’re from a class or two above. One of the most interesting items is the super-wide HVAC vents in front of the right-front passenger. 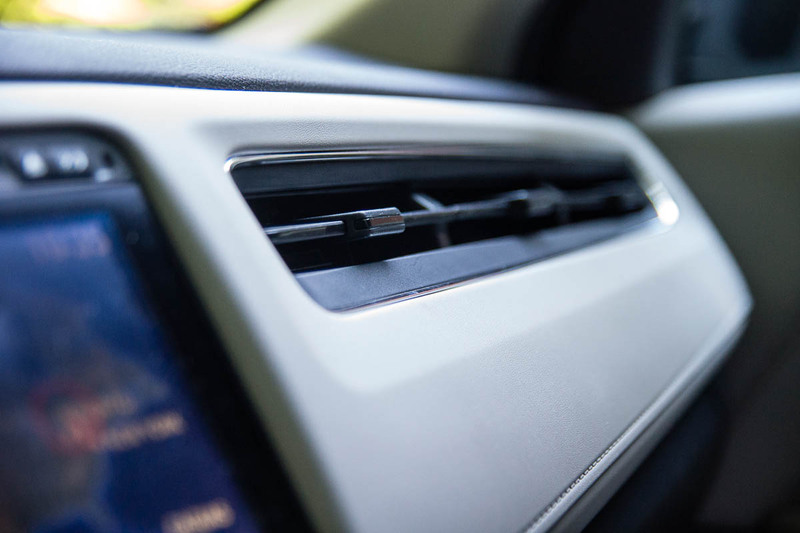 The vent spans from the door to the centre console. 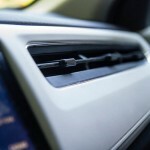 Those not wanting to get blasted by conditioned air can opt to close all three vents. 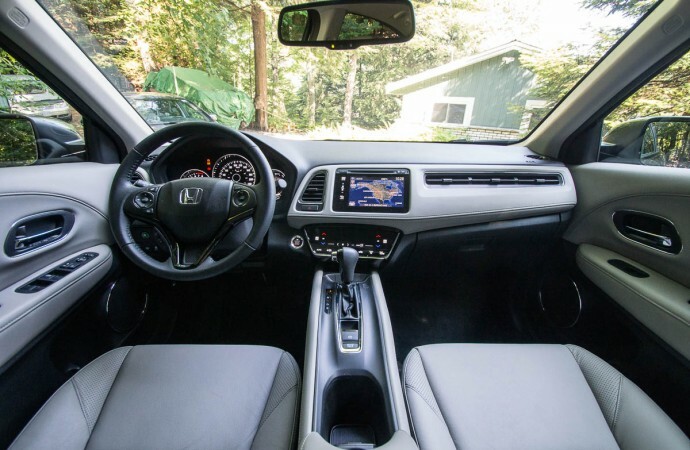 My EX-L tester adds goodies like the auto-dimming rear-view mirror, leather steering wheel and seats, steering-wheel mounted paddle shifters, Honda’s useful LaneWatch blind-spot info camera, and an improved stereo system with HDMI in (but still no auxiliary audio input!). 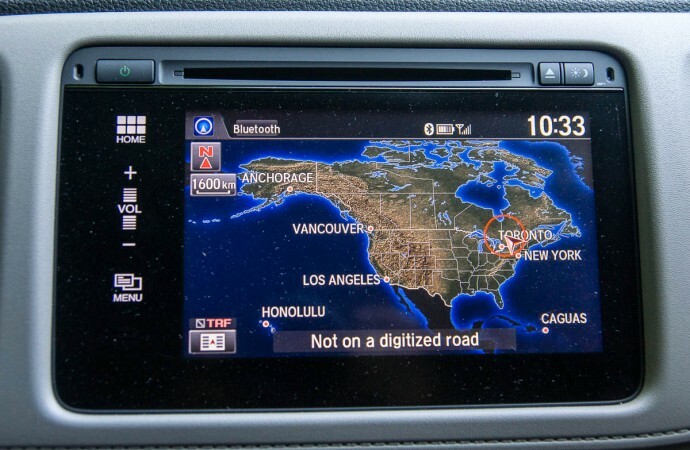 The satellite navigation system continues Honda’s knack for getting rid of the volume knob, in favour of a purely touchscreen interface. I’m not a big fan of eliminating the volume knob, as it’s something you need to access quite often. Fortunately, steering wheel controls remain, so the driver can get by with those. 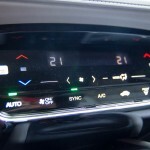 The climate control interface also gets rid of all of its physical buttons, forcing occupants to stab away at the LCD panel to make their selections. 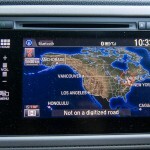 This reliance on pure-touch interfaces isn’t something I can support, unfortunately. 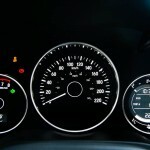 Going back just a few years, Acuras were criticized by some for relying too heavily on physical buttons. I personally prefer hard buttons and knobs, since they allow the driver to make fine adjustments without taking their eyes off the road. 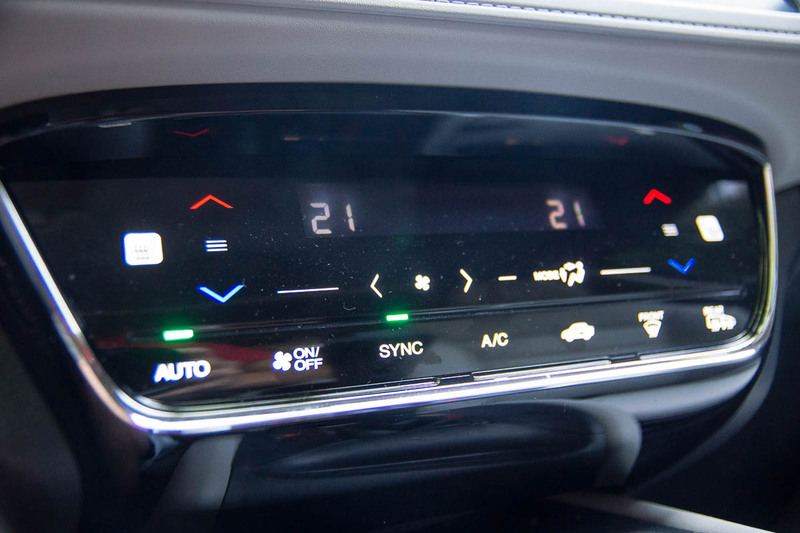 It seems difficult for some automakers nowadays to strike a good balance between ergonomics and progressive user interfaces – this is something Honda needs to work on. Interface quirks aside, the HR-V is really more about the “V” in its nameplate – versatility. Thanks to some really clever engineering, the second-row floor is surprisingly low, as is the load-floor in the hatch. This is accomplished by moving the gas tank to under the front seats (thus limiting vertical seat adjustment somewhat), and re-routing the exhaust to the extreme right-side of the underbody in all-wheel drive models. In practice, the second-row Magic Seat folds down impressively low, giving you lots of vertical area to carry cargo. The Magic Seat also flips up to swallow tall items, standing from floor to ceiling. 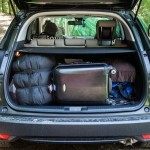 It’s immediately obvious how much more cargo space the HR-V contains over the Mazda CX-3. 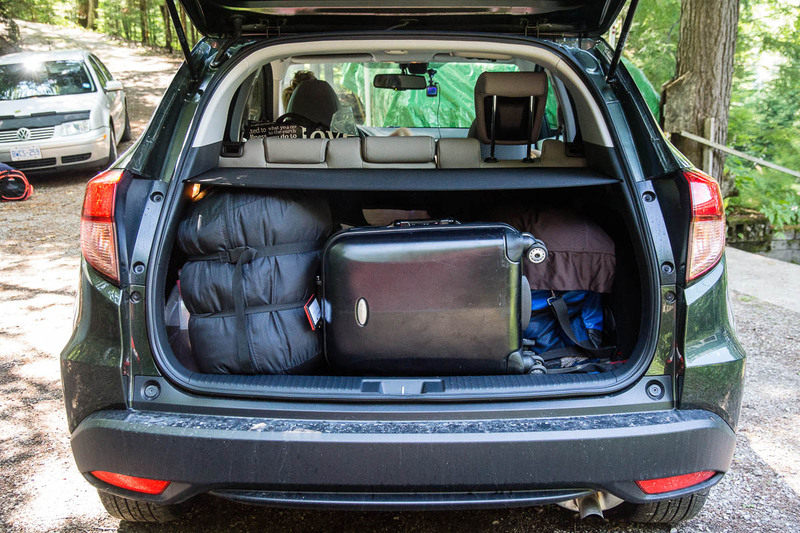 The size of the hatchback opening is significantly larger on the HR-V. The CX-3 is small enough that you may want to see if your average stroller of today will fit (it probably won’t). To quantify that in numbers, the CX-3 GT can handle 408 litres of stuff behind the second row, and the HR-V can hold 657 litres. When you’re carrying passengers instead of cargo, rear-seat occupants won’t have to fold up the headrests like they would in the CX-3. It’s genuinely interesting how significant the differences are, in the real world. 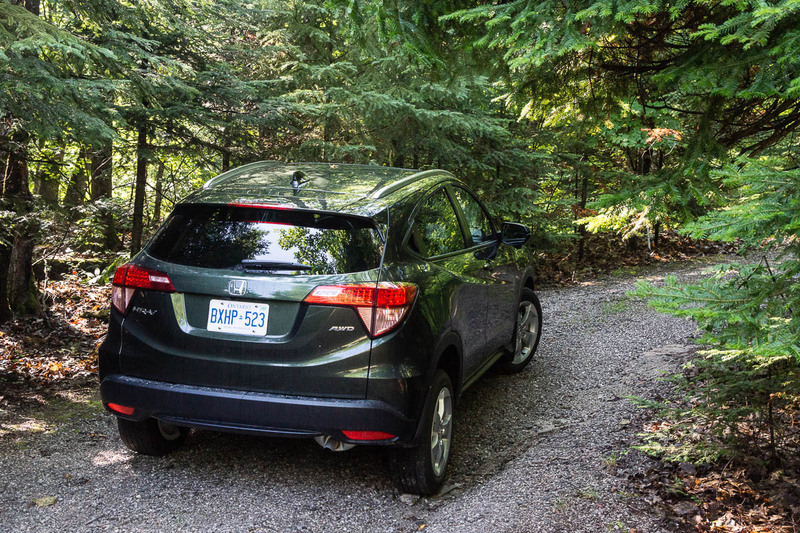 Under the hood, the HR-V swaps the Fit’s 1.5L four-cylinder engine out for the 1.8L four-cylinder from the Civic. 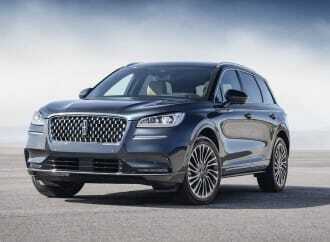 This provides a useful bump in torque, to compensate for the weight the larger body and all-wheel drive add. 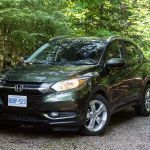 What’s interesting is that in moving up to Honda’s 1.8L engine, the HR-V loses the direct-injection that the Fit benefits from. 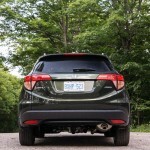 In terms of numbers, the HR-V puts down 141hp at 6500rpm, and 127lb-ft of torque at 4300rpm. 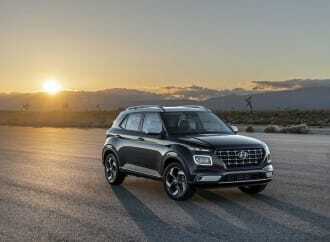 This is paired up with either a six-speed manual transmission (front-wheel drive only) or a continuously variable transmission (CVT) if you opt for all-wheel drive. The added displacement from the engine is definitely welcome, and the CVT does a good job of prioritizing efficiency over sporting performance – which isn’t much of a surprise. The HR-V can get out of its own way in typical urban city driving, but high-speed passing manoeuvers take a little bit of planning. 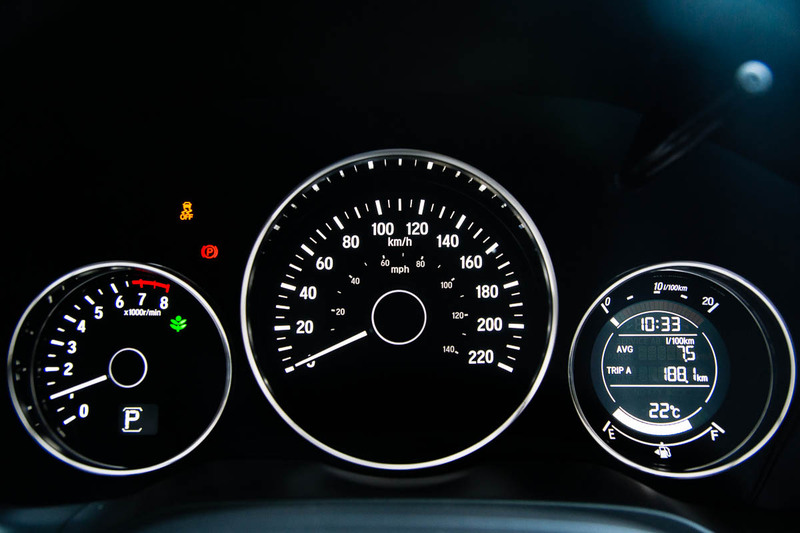 Selecting “S” mode on the gear selector shortens the gearing for better high-rpm performance, but this is at the expense of a lot of engine noise as the tachometer pegs the redline. Those familiar with the current iteration of the Honda Civic, and how it drives, will feel right at home in the HR-V.
Honda Canada rates the all-wheel drive HR-V EX-L at 8.8L/100km in the city, 7.2L/100km on the highway, and 8.1L/100km in a combined cycle. With a good mix of city and highway driving (including one road trip to cottage country), I managed to get a week-long average of 7.8L/100km over about 800km. 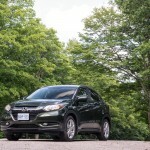 The HR-V will accept 50L of regular 87 octane fuel. The numbers I ended up with are decent, considering my urban commutes into downtown Toronto, and one cottage weekend trip, with the cargo area full to the brim. The Mazda CX-3, by comparison, finished the week with a reading of 8.3L/100km. 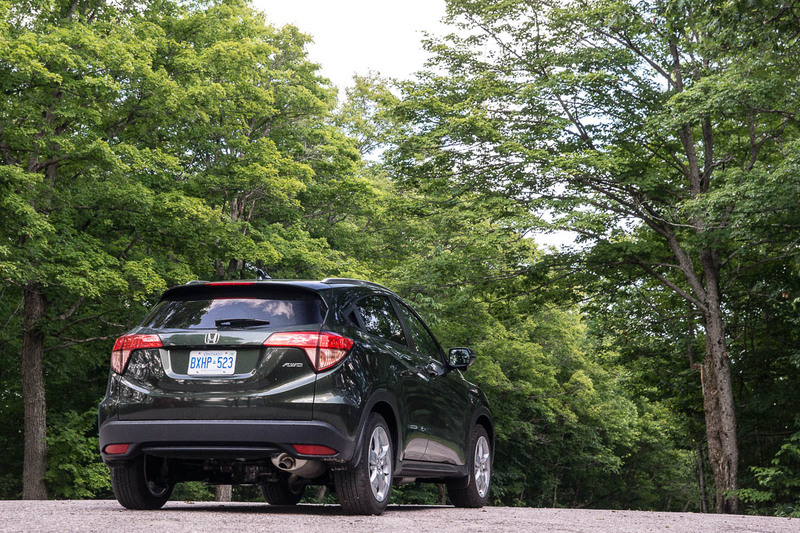 The base, front-drive HR-V LX starts at $20,690. 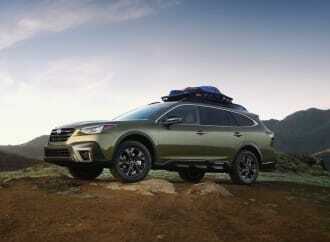 At that point of entry, the six-speed manual transmission is standard equipment, but you still retain heated front cloth seats, the all-important Magic Seats, 17-inch aluminum wheels, reverse rear-view camera, and air conditioning. Stepping up into the mid-level EX ($26,790) gets you fog lights, the LaneWatch side-view camera, power sunroof, a flexible cargo cover, and push-button start. My EX-L tester ($29,990) adds leather seating, lane-departure warning, forward collision warning, satellite navigation, and removes the front-wheel drive (and manual transmission) option. 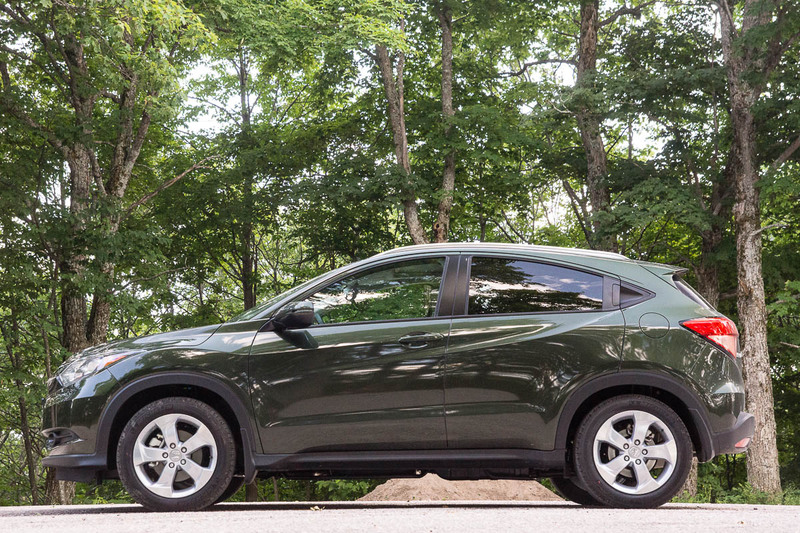 It’s almost a $10,000 gulf between a base and fully-loaded HR-V, similar to the Mazda CX-3. In both cases, the HR-V and CX-3 are priced higher than the compact sedans they sit side-by-side with. 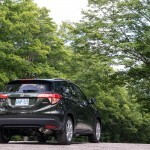 How much is all-wheel drive and the hatchback body design worth to you? 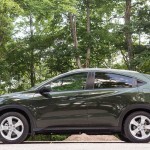 The 2016 Honda HR-V represents Honda’s unique take on the new subcompact CUV segment. I like how its external footprint remains easy to drive in the city, but I like how Honda took the “versatility” part of the equation to the next level. 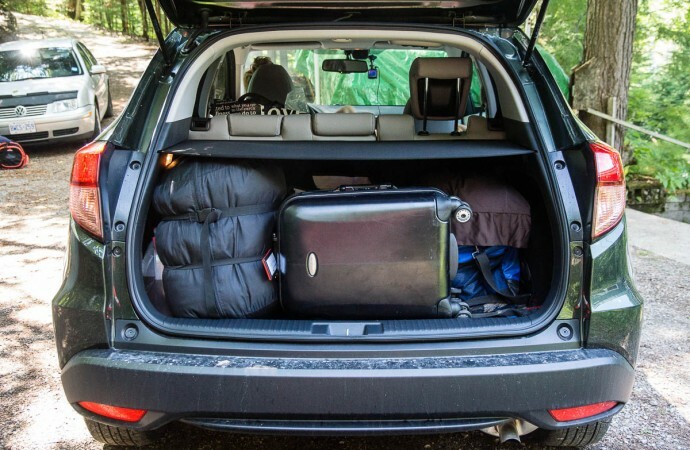 Considering how small it is on the outside, the HR-V can carry a surprising amount of people and cargo. It gives up a little in terms of driving dynamics, but it’s a question that prospective customers will have to ask themselves: are you looking for a small sports car that wears a small backpack, or are you looking for a genuine family-friendly urban vehicle? 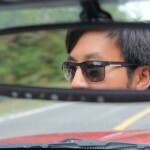 I like both the Honda and Mazda, but for very different reasons. 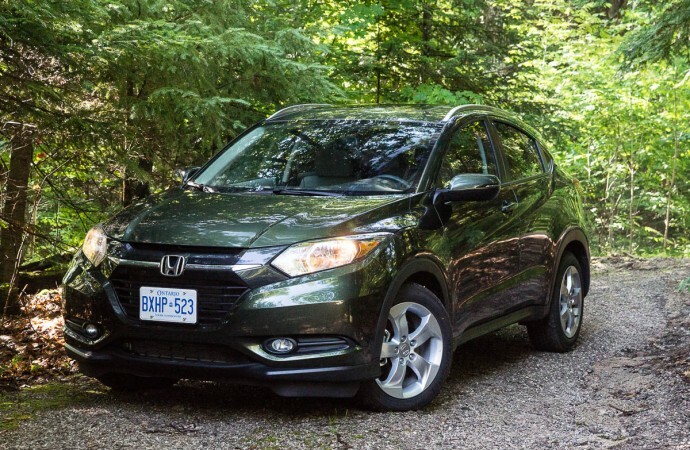 At the end of the day, however, I can’t help but think that the HR-V is more relevant to the things that Canadian families might be looking for, so between the two, it gets my vote here.